CarGurus has 8,648 nationwide CTS listings starting at $2,288. You might say that the CTS is the car that turned Cadillac around almost a decade and a half ago, but the latest CTS differs considerably from the original in terms of market positioning. In its 2003 debut, the CTS arrived as a decidedly sport-oriented rival to German and Japanese luxury sedans. It was priced like a compact BMW 3 Series but sized like a midsize BMW 5 Series. Exceptionally well-received by critics and consumers alike, the first CTS was notable for its impressive value. That’s not quite the case anymore. With the ATS serving as Cadillac’s entry point, the latest CTS is not only sized like a BMW 5 Series or Audi A6, it is priced pretty much on top of them as well. Don’t fret; if anything, that is a sign Cadillac is officially back as a luxury brand and doesn’t need to trade on value as much as it does quality and content. The CTS makes extensive use of lightweight materials to give it a curb weight several hundred pounds lighter than that of most rivals. This endows the car with a more nimble, agile feel, something immediately appreciable even during congested urban driving. Like its rivals, the CTS is offered in a dizzying array of combinations, starting with engines. 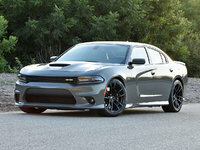 Anchoring the low end is a turbocharged 2.0-liter 4-cylinder rated at an impressive 272 hp. From there, the lineup climbs to a more powerful but thirstier 3.6-liter V6 with 335 hp. Topping the standard CTS range is a 3.6-liter twin-turbo V6 unrelated to the non-turbo. This CTS V-Sport puts out a stellar 420 hp—but even it is trumped by the thundering 640-hp CTS-V, which is covered separately. Think of the V-Sport as a CTS-V “lite” and you’re on the right track. All CTS trims are equipped with automatic transmissions—a 6-speed for the 2.0T and an 8-speed for the others. The 4-cylinder and non-turbo V6 trims can be equipped with rear- or all-wheel drive (RWD or AWD); the V-Sport sends its power to all four wheels exclusively. Fuel economy runs the gamut based on engine and drive-wheel choice. The 2.0T RWD’s 21 mpg city/31 highway/25 combined is the most efficient, while the V-Sport checks in at 16/24/19, the thirstiest in the lineup. Once you’ve picked your powertrain, a host of trim levels are available. Fortunately, their names are pretty descriptive: Standard, Luxury, Performance, and Premium. Among the bigger options is Cadillac’s innovative Magnetic Ride Control system, a technology developed by parent company General Motors for the Chevrolet Corvette and now licensed to other manufacturers, including Ferrari. Magnetic Ride Control consists of sophisticated shock absorbers that read the road and deliver a smoother ride quality. The biggest technological advancements come inside, however. Opt for a higher-specification trim and you’ll net a 12.3-inch high-definition screen in the instrument cluster. Almost infinitely customizable, the high-resolution screen lets drivers pick anything from a simple, clean display to one loaded with information. Cadillac’s CUE infotainment system, meanwhile, takes up home in the center stack. With haptic feedback and a screen that behaves like a tablet, CUE is advanced—but can also be overwhelming for novice users. A pair of packages offer a host of safety items. Opt for the Driver Awareness Package and your CTS will boast a forward collision alert system that lets the driver know to apply the brakes if an impact is imminent, lane-keep assist, which gently pushes a drifting car back into its lane, and rear cross-traffic alert, which monitors otherwise invisible areas while the car is backing out of a parking spot. The Driver Assist Package, meanwhile, builds on that with adaptive cruise control to keep the CTS a set distance away from the car in front of it, and automatic braking that works with the forward collision alert to either prevent or reduce the severity of an impact. Another available extra is a head-up display that projects speed and trip computer information onto the windshield, where it sits low in the driver’s sight line. Finally, the CTS offers wireless charging for certain mobile devices in the center console. GM’s OnStar safety and concierge connectivity is included on all CTS models, but its features will require an extra monthly fee after the initial trial period expires. Multiple packages are available for OnStar, connecting the car to a call center for emergencies, beaming directions to the optional navigation system, or even providing convenience features like restaurant table booking. Additionally, the CTS includes a built-in 4G LTE antenna that makes the car a mobile hotspot—but, again, this service requires a monthly charge. 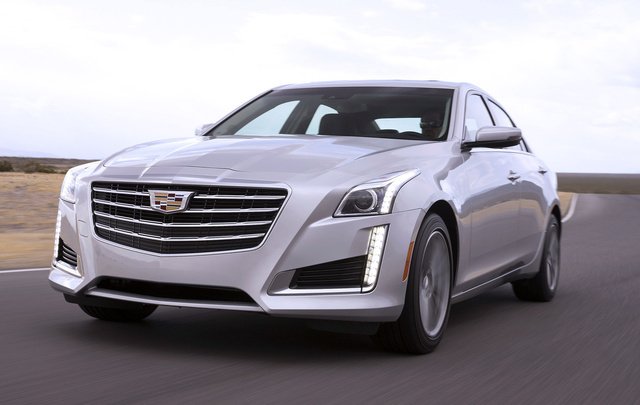 What's your take on the 2017 Cadillac CTS? Users ranked 2017 Cadillac CTS against other cars which they drove/owned. Each ranking was based on 9 categories. Here is the summary of top rankings. Have you driven a 2017 Cadillac CTS?